With this amazing weather, it’s a shame not to enjoy it. 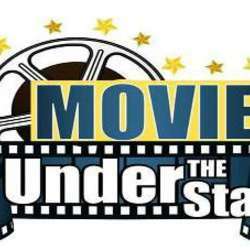 We are hosting a movie and over night camping under the stars. We will setup camp, in the Al Faya area not far from the road for easy access to all level drivers. We will arrive about an hour before sunset, so we can setup the camp and people can free drive if they want. Its a wonderful place for off-roading. The grill will be fired up, just before sunset and after a lovely meal, some tea. We will pack up, clean up and leave next morning. 1- RSVP only if you are sure you will be able to attend. 5- Trip meetup points will be shared with the confirmed members on our trip WhatsApp group. 6- Please provide your WhatsApp/Mobile number for coordination. 1- Enough food/snacks/water etc for you and your guests. 3- Bring your raw food and amenities accordingly. 6- Torch, tower lights etc. (f) You give explicit consent to the organizers that any photos or videos of you and/or your family/ guests/ pet/ car/ gear taken on this trip (or an earlier trip), whether by the organizers or an attendee may be freely shared, used or published by the organizers in any form – print or digital – and/or posted on the group’s social media pages (Meetup/ Facebook/ WhatsApp/ Twitter/ Instagram/ YouTube and the like) for the purposes of illustration, promotion, branding, advertising or marketing or record and You explicitly waive any rights whatsoever to challenge or bring an action against the organizers/ hosts for use of such media for the stated purposes.